220V, 50 Hz Operation. Single-Phase requires 30 amp service. Three-Phase requires 20 amp service. 60Hz and other voltages available. 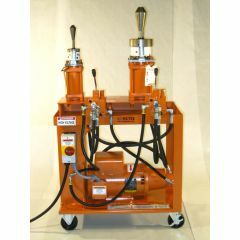 The HB-10 is our entry level bending machine, with select tooling designed for bending pipe and tubing for Car exhausts. Additional equipment available to purchase for bending tubing for motorcycles. For one low price you get everything you need to bend up to 3" pipes, including tooling and instruction video. Huth’s HB-10 Complete Bender Package includes Huth’s newest Manual Knee Control Bender and comprehensive tooling package - everything you need to create O.E.- fit and custom-bent pipes. The HB-10 is Huth’s entry level bender, designed to introduce you to Huth quality while showing you the incredible profit potential that awaits you. The HB-10 features knee control activation, manual depth-of-bend control and 58,000 lbs. of bending power - more than enough for 3" tubing. 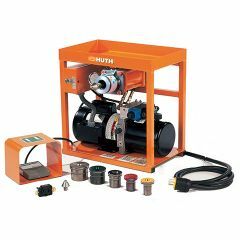 As with all Huth Benders, the HB-10 features a built-in swager/expander for complete end-finishing capability - 1" to 3" tubing on the swager end and 1" to 5½" tubing on the expander end. 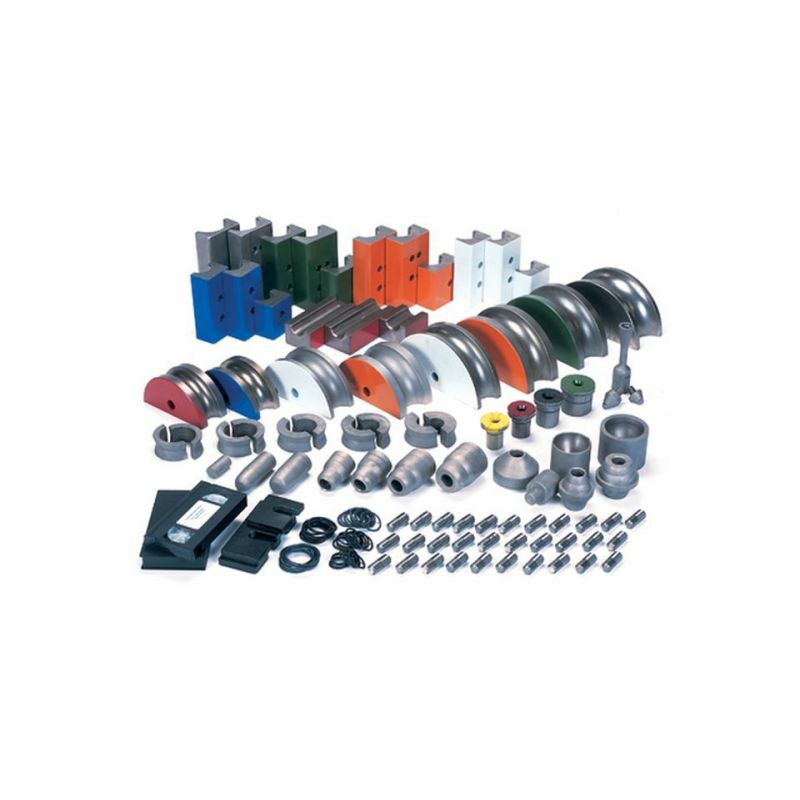 Plus, you receive bending dies, end-finishing tooling and a Huth DVD - everything you need to start bending pipes for thousands of applications. The HB-10 Bender package comes as shown. 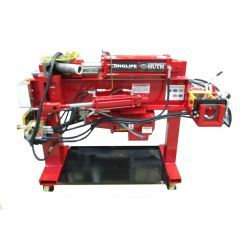 However, the HB-10 accepts all of Huth’s standard tooling and accessories such as the Ready-Rak, Rod Bracket Bender and Oil Filter Crusher. *HB-10 package comes as listed only. Additional tooling available at extra charge. 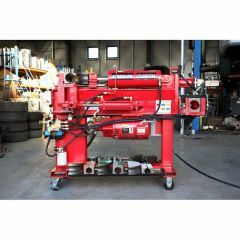 The built-in heavy duty swager/expander gives you complete end-finishing capabilities - 1" to 3" tubing on the swager end and 1" to 5½" tubing on the expander end. With Huth's Accu-Sizer™ automatic bull's-eye expanding system, you'll be able to dial in precise expansions every time. Slim Knee Control Activation allows you to get closer to your work for quick, precise bending. An Easy-to-Read Bend Indicator shows how far into a bend you are.